Metal Doors & Frame Co. of Kansas City joined forces with Walsh Door & Security effective 12.31.2018. Walsh serves customers across the Midwest and is one of only a few companies, nationwide, with deep experience in both doors and electronic security systems. Need help or information? Just ask! You can use this contact form for any purpose! Request service or support. Ask a question. Schedule a free consultation or a free risk assessment of your building or electronic security options. You can also reach us via phone at 515.262.9822, 319.248.0114 or 816.474.4500. We stock a huge inventory of Ceco and Steelcraft hollow metal doors and frames, as well as a broad selection of veneered wood doors by Eggers Industries and VT Industries. – including red oak, white maple, white birch, walnut and cherry. Specialty doors are also available for a variety of purposes – including soundproof, fire-rated, lead-lined, bullet-resistant and more. 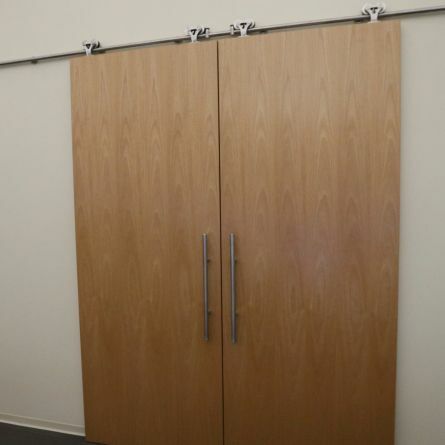 Custom door and frame solutions are crafted by the experienced team in our onsite production facility. Walsh detailing and estimating experts help assure that all specifications are correct and meet relevant codes. 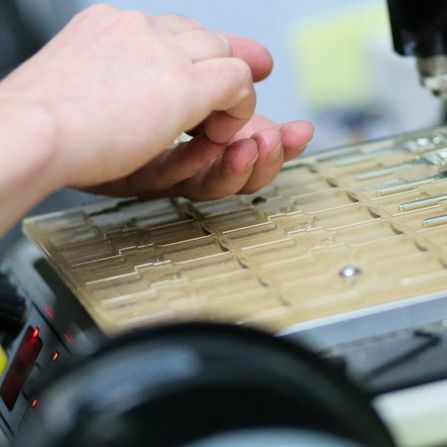 Our customer-focused team is committed to quality, on-time delivery and installation. 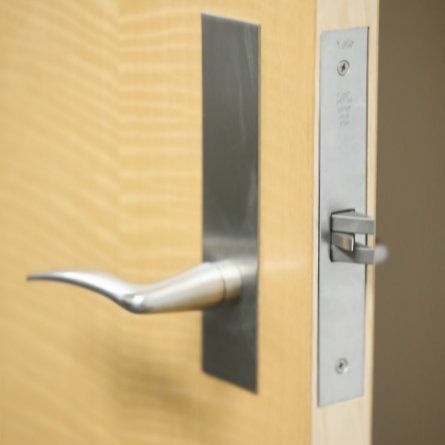 From door hardware and locksets to ADA-compliant automatic door operators, our broad inventory enables us to satisfy nearly every need and budget – with products from Hager, Ives, LCN, Norton, Pemko, Rixson, Schlage, Von Duprin and Yale. If you choose, we’ll pre-install and test your hardware in our production facility to speed and simplify hanging the doors on your jobsite. Pre-installation is an exclusive Walsh innovation! It’s another way we work to earn your complete satisfaction. 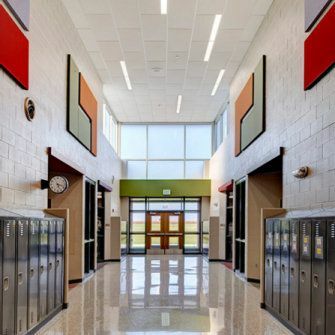 Walsh delivers and installs America’s leading access control and camera systems, serving schools, institutions, hospitals, industrial clients and contractors across the Midwest. 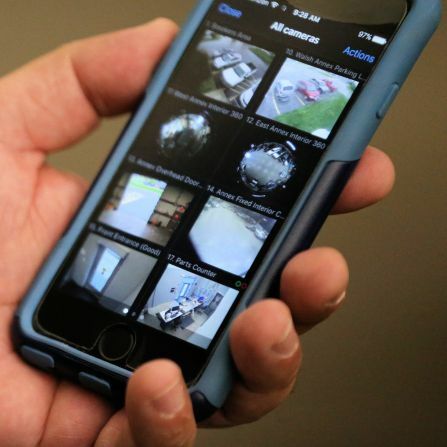 We are one of only a few companies, nationwide, with deep experience in both doors and electronic security systems. As a result, we see each entry or passage as a single, working system, rather than individual components. You enjoy one expert point of contact, and everything is coordinated for a smooth, quality installation. We’re committed to service after the sale, and our 150-year history proves we’re here for the long haul. Service contracts are available. 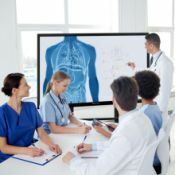 Imagine a giant tablet for meetings, education & collaboration! 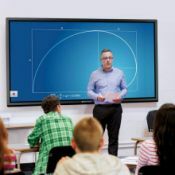 Clear Touch Interactive Panels replace white boards, monitors, projectors and screens – even remotes and erasers – to provide outstanding, high-definition, presentation and display technology for schools, boardrooms, meeting spaces, tradeshows, healthcare facilities and more. 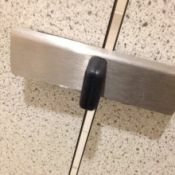 We offer a wide selection of toilet partitions in ADA compliant styles and a range of materials and options. 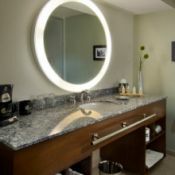 Accessories include grab bars, commercial baby changing stations, electric hand dryers, mirrors, dispensers, waste receptacles and more. Lighted mirrors and many other unique products are also available. Our expert on-staff locksmiths can handle your commercial keying needs, no matter how simple or complex. We are experienced with all types of key systems and can help you create a system that is convenient, secure and designed for future expansion. The experienced craftsmen in our full service production facility can fabricate your custom projects quickly and beautifully. Our expert detailers and estimators are committed to delivering high quality products and competitive pricing. 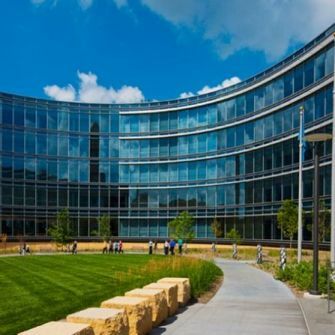 Walsh has years of experience in serving the commercial, industrial and institutional construction markets, as well as schools and universities, hospitals, clinics, data centers and other end-users – including small businesses.